LOOKING FOR A WHIPPET ? Once you decide a whippet is indeed the breed for you, the next thing you'll learn is that it may not be easy to find one. 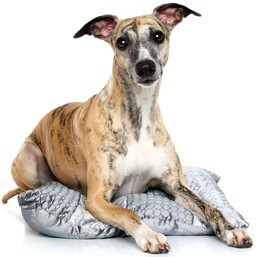 Whippets are not an extremely popular breed and are not usually readily available. Buying a puppy is not like buying a household appliance and you shouldn't "order" one from a website. This is a very protected breed and the people who love them are careful not to over-breed. Don't count on bringing one home tomorrow. Be prepared to spend some time on a waiting list, to drive several hours, or to pay for shipping. But if this is the right breed for you, it's well worth the wait. Breeding healthy, sound dogs requires an understanding of the breed's form and function, at least a basic knowledge of genetics and heredity, and some study into hereditary health problems specific to the breed. Too often people simply buy a male and a female of the same breed and breed them without regard to genetic health, temperament, or conformity to the breed standard. That's why so many dogs of the more popular breeds that bear little resemblance to the breeds their owners say they are. Puppies should never leave their mothers before eight weeks, and by that time should have been wormed and had at least one set of puppy shots (distemper/hepatitis/parvovirus). Ideally, you want a puppy who has been raised "underfoot" in the home of the breeder. Kennel-raised puppies are a good bet only if they have received lots and lots of attention and socialisation. Also expect a lot of questions of the sort on our puppy questionnaire. A good breeder raises their puppies with love, and they want to find the best homes for them. A lot of responsibility comes with bringing new life into the world, and a breeder sends a little piece of their heart home with each pup. Don't take offence or think they are just being nosey. It's difficult to let go of little ones you've brought into the world and totally devoted yourself to for eight to ten weeks. The breeder will need to assure themselves that you're going to take very good care of the puppy they entrust you with. Most of all, a breeder should be someone you feel at ease with. When you buy a puppy, you also should be making a friend for life. The breeder is your most valuable resource should problems arise, and you want to feel completely comfortable calling on them. They will appreciate it if you stay in touch and keep them updated on your pup's progress. Just as in any hobby, there are nice people and not-nice people involved. You don't have to put up with rudeness or a person who cannot give up control of the puppy even after you take it home. Find a breeder you really like, even if it means waiting a little longer. 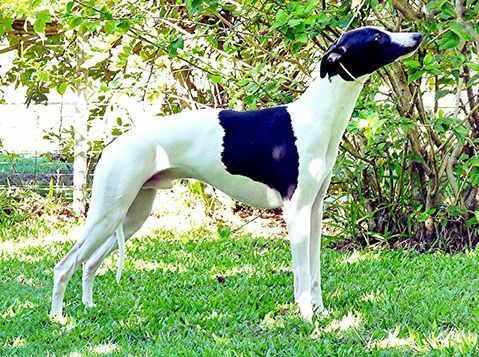 Breeders often have adult whippets looking for homes for various reasons. Sometimes a show puppy doesn't live up to it’s potential; occasionally there's a dog who doesn't get along with another dog in the household. Sometimes a breeder just realizes they have more whippets than they needs! If you want an adult Whippet, check with rescue first. If there are no rescues available in your area, start checking with breeders or on our Rescue page. If you are a club member and would like your details listed here please contact the Secretary.